Soft Skull Press, 9781593766634, 208pp. 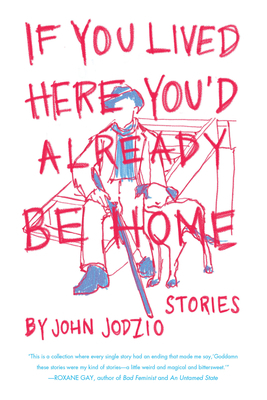 John Jodzio, whose recent breakout collection Knockout was hailed by the New York Times Book Review ("every story inventive and a pleasure to read") and NPR ("He's a compassionate writer who is refreshingly unafraid to take risks, and his book is, well, a knockout"), returns with this expanded and updated edition of his cult classic. Jodzio has been lauded for his writing that delicately walks the line between the pain and humor of human experience, the small truths that are exposed through ludicrous situations, and the captivating characters that must navigate them. JOHN JODZIO is a winner of the Loft-McKnight Fellowship and the author of the story collections Get In If You Want to Live and Knockout. His work has been featured in a variety of places including This American Life, McSweeney's, and One Story. He lives in Minneapolis.